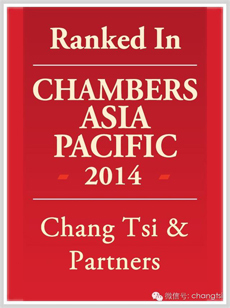 Chang Tsi & Partners was highly ranked again in the 2014 Chamber Asia Pacific Guide including Intellectual Property: Non-litigation Band 2 and Intellectual Property: Litigation Band 3. 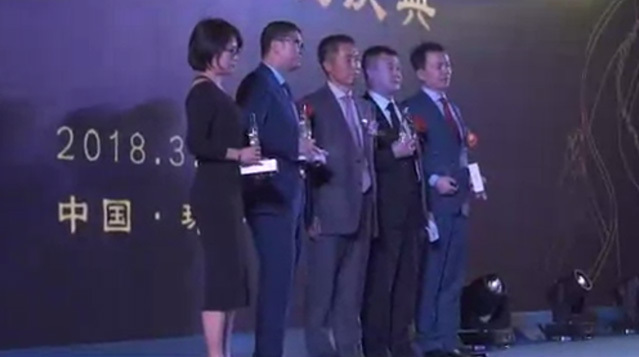 Founding Partner Spring Chang was also individually ranked for “Intellectual Property: Non-Litigation in the top Band 1 and for Litigation in Band 3. These rankings recognize our outstanding work, impressive strategic skill, leadership and excellence in client service. To quote Chamber Asia Pacific, the Chang Tsi & Partners team is “an acclaimed IP practice providing all-round trade mark service. Expanding capabilities in the prosecution and enforcement of patent, copyright and domain names. Wins praise from multinational corporates for its high-quality work and efficiency.”The magazine also quoted feedback they received regarding our service from some legal professionals: ”They are responsive, thoughtful and practical, delivering very good results." "They are very quick, maintain high-quality work; they spend a lot of time getting to grips with our business needs." The Chambers Guides have been ranking the best law firms and lawyers since 1990, and now cover 185 jurisdictions throughout the world. The Group which enjoys a reputation of objectivity and excellence has gained the recognition and trust of legal practitioners and clients.